Tutorial Central got me with his third tip of his recent video, which is about losing gloriously in StarCraft II and other competitive games. 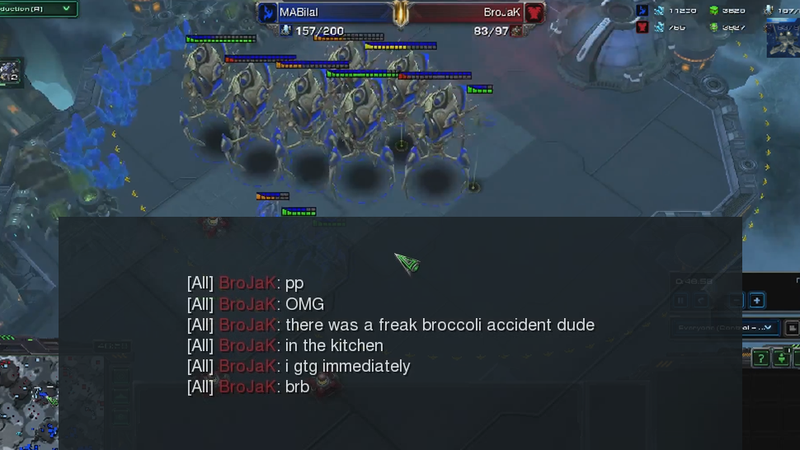 I'd be stunned if someone paused the game during a carefully planned zerg rush to start talking about a broccoli accident in the kitchen. The other three are classics. And number #5—disconnect—is almost as good as those fake lifehack pics. Having trouble in StarCraft II or League of Legends? Just go and unplug your modem!